Description: Shell conical, height to width ratio variable in range 1.8-2.5. 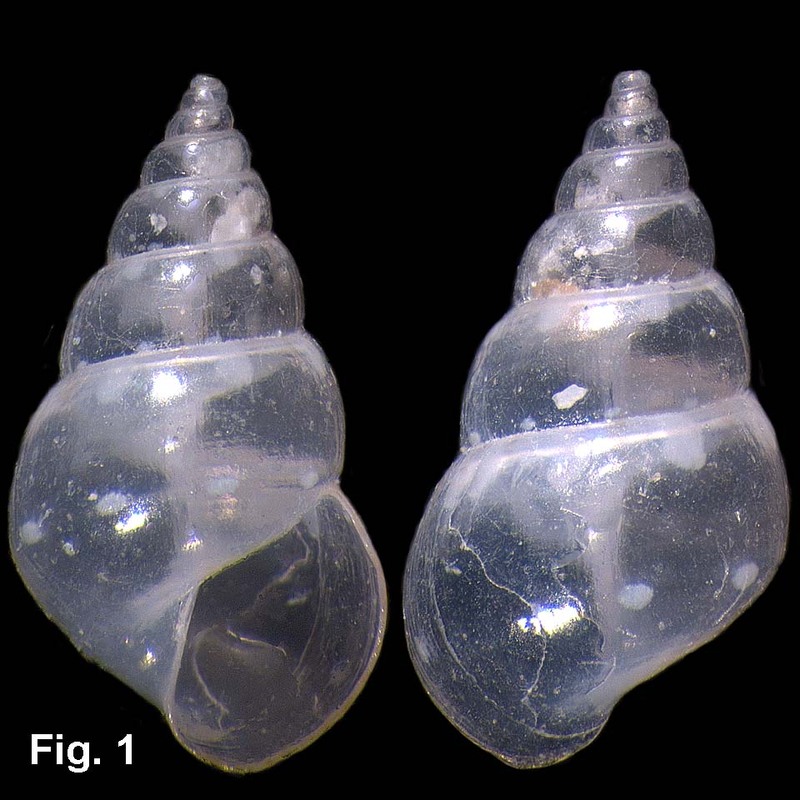 Shell transparent when fresh, becoming opaque with age. Teleoconch up to 9 smoothly rounded whorls. Surface smooth, without sculpture. Aperture without siphonal canal; outer lip thin, slightly flared anteriorly; columella smooth, straight; umbilicus absent. Fresh shells colourless transparent, with a spiral row of small, widely spaced white dots around periphery of body whorl, and white flames descending from suture. Operculum corneous; thin brown periostracum often present. Size: Up to 7 mm in length, commonly 3-5 mm. Distribution: Endemic to Australia; Cape Moreton, Queensland, around southern Australia to Geraldton, WA. Habitat: Lives on algae and seagrass in sheltered and exposed situations, intertidally and subtidally; common to abundant. Common in beach shell grit. 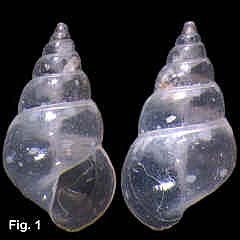 Remarks: Shells are transparent and colourless when fresh, often covered with a thin brown periostracum, but become opaque with age (Fig. 2). Previous descriptions have concentrated on the spiral row of white spots around the periphery of the body whorl (Fig. 1), but these are not always visible, as fresh specimens are often covered with an obscuring periostracum, and the dots merge with the background as the shell becomes opaque.